An illuminating and comprehensive exploration of a subject which has dominated the British political scene for much of the period since the Second World War. 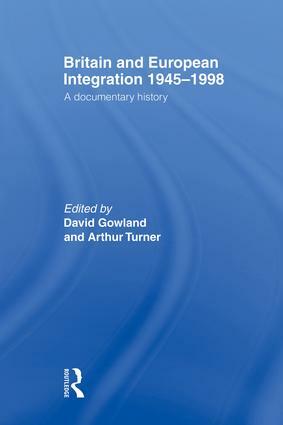 Through a wide and varied collection of documents, complemented by detailed and perceptive analysis, this book explores Britain's reactions to the dynamics of European integration. * the Commonwealth dimension and the "special relationship"
* the singlecurrency.0L Many of its numerous sources are made widely accessible here for the first time. It is an invaluable resource for all students of Politics, Modern British History and European Studies.